AIA Huron Valley - Associate & Emerging Professionals Happy Hour in a Barn! Associate & Emerging Professionals Happy Hour in a Barn! Associate & Emerging Professionals Happy Hour… in a barn! 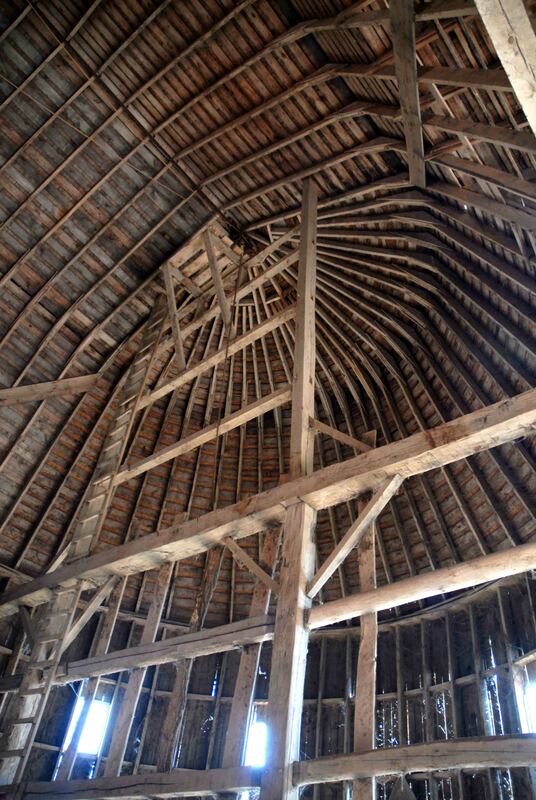 Did you miss the Michigan Barn Preservation Network tour in September? Couldn't make it because you were at Design Retreat? Interested in seeing some local architectural history and enjoying some drinks and conversation? On Friday evening, October 11th, we have arranged for the Parker Barn, possibly the largest wood barn in the county, to be opened for us to meet, talk about barns, and get to know our emerging professionals better. This barn is amazing. It is 178 feet long, 60 feet wide and both gable ends have been framed to be half-round. It also has a 30 foot by 50 foot, three-story, working granary. It’s a lot of barn. There are logistics, however, as we cannot bring the barn to you. We will meet in the Zingerman’s Roadhouse parking lot at 5:30 pm (on the south side of the building near the Airstream). We will then consolidate cars quickly and head out to 10750 Lima Center Road in Bridgewater Township. If you cannot get to the Roadhouse easily and need a lift contact Steve, Jess or Chuck below. If you want to just meet us out there, feel free, but the barn will ONLY be available to us until 7:30 pm. At 7:30 we will return to the Roadhouse and your cars.